The 43rd death anniversary commemoration of former Deputy Speaker and Minister late D.A. 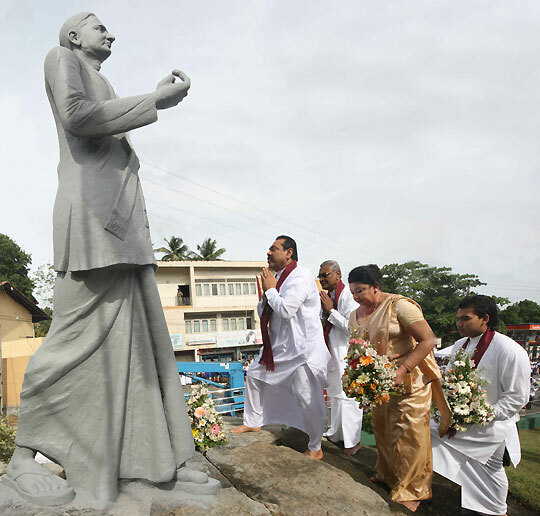 Rajapaksa was held at Tangalla this morning on 07th November. D.A. Rajapaksa is the father of President Mahinda Rajapaksa, Speaker Chamal Rajapaksa, Minister Basil Rajapaksa and Defence Secretary Gotabhaya Rajapaksa. Late D.A. Rajapaksa represented Beliatta electorate of Hambanthota district in the parliament and also held the post of Deputy Speaker, in addition to being a Cabinet Minister during the periods of late Prime Ministers S.W.R.D.Bandaranayake and Mrs Sirimavo Bandaranayake. D.A. 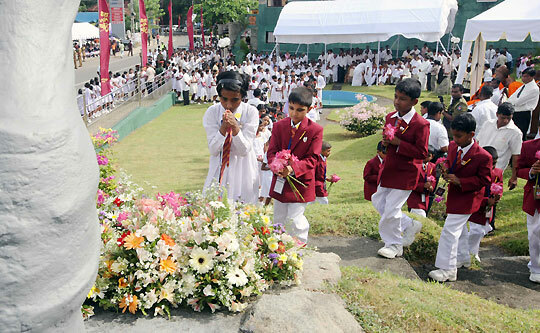 Rajapaksa’s 43rd commemoration was begun at 8 a.m. this morning with a floral tribute to his statue in Tangalla town by President Rajapaksa and First Lady Shiranthi Rajapaksa. 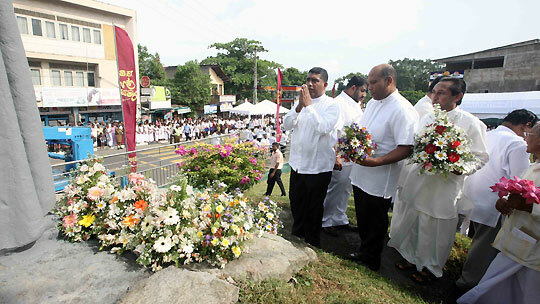 Later the President participated the D.A.Rajapaksa Memorial Lecture and the rest of the ceremony organized by the D.A.Rajapaksa Foundation. The President also presented 100 Sisura scholarships to university students and school children to mark the event at the Tangalla Town Hall. An all night Pirith chanting ceremony and an alms giving has been organized at the President's ancestral home in Medamulana. 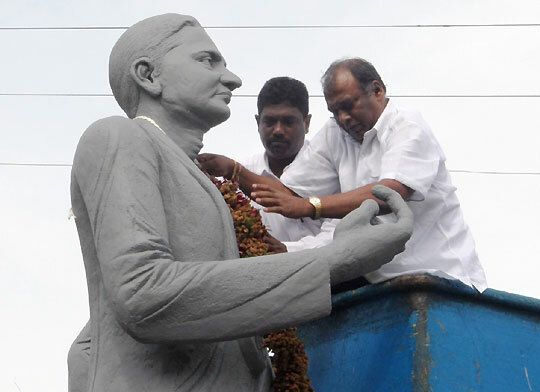 Venerable Maha Sanga, large number of Ministers and Parliamentarians, relations, distinguish invitees and family well wishers were present at the occasion.